Magento 2 Featured Products extension will help eCommerce store owner to showcase special products on store with an eye-catching and attractive way. Featured Products is a free Magento 2 extension. It is an effective way to showcase your hand-picked products of your store in an eye-catching and attractive way. Displaying featured products on your eCommerce store is a great way to increase sales of some special products. With the use of this extension you can display a specified number of products in a grid layout with thumbnails of your products. The administrator can set any product as featured product very easily. When the administrator selects “Yes” in the “Featured” attribute, it’s featured lock section will display that product block on the home page and depending on the configuration. 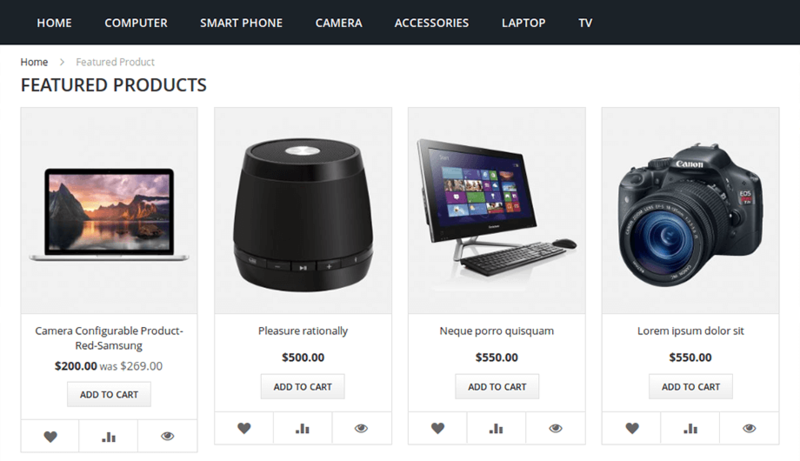 All featured products are displayed in a slider with navigation arrows. 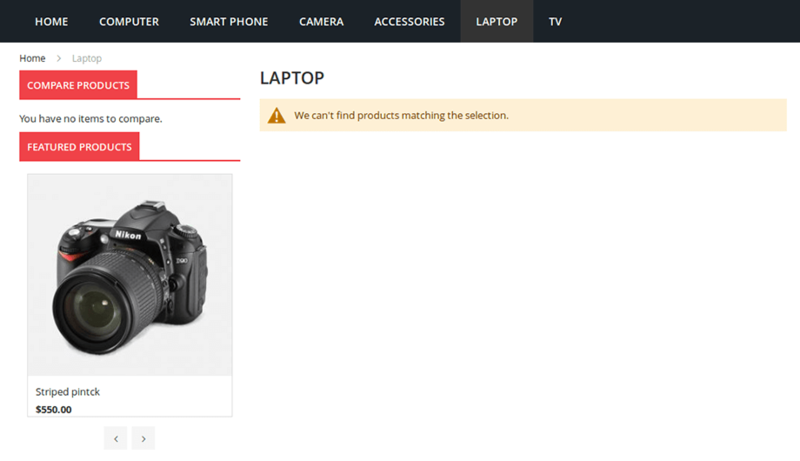 The customer can add this product directly to Cart, Wishlist or compare from featured product block on home page. Provides fully customizable interface of the extension from admin. Powerful admin panel with a lots of custom configuration settings. Free of cost extension with lots of configuration settings. 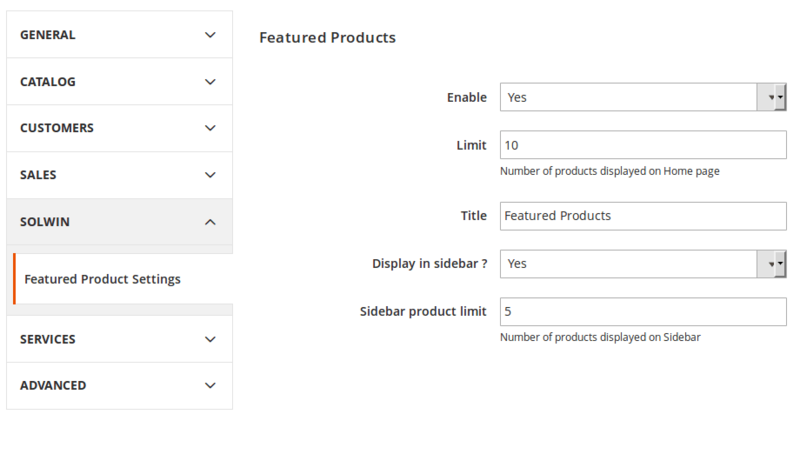 Easily display featured products as product slider in sidebar area. 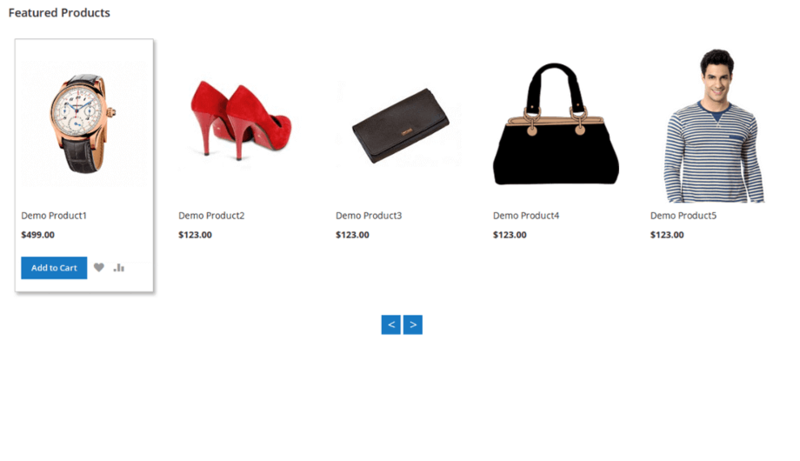 Easily display featured products slider in CMS page. Customer can add this product directly to Cart, Wishlist or Compare. Increase sales of some special products via showcasing products. Showcase special products of your store in an eye-catching and attractive way. Great Extension, Using it as a widget only, so definitely did a trick for our website!!! Why To Choose Extension From Solwin? The key reasons why you should choose magento extension from solwin product store. Most useful extension. Love it! Very useful extension. Love it! It is very helpful extesion. It is very helpful extension, you should to try it with your Magento website. very nice product and a very fast and helpful support team. What an eye cooling featured layout and functionality of this extension in Magento 2! can’t ask for more! Download the Featured Products extension .ZIP file from solwininfotech.com using your Solwin Infotech website account. Now, you will see the extension .ZIP file for Magento 2.0.x, Magento 2.1.x, Magento 2.2.x and Magento 2.3.x version. If you are using Magento 2.0.x then you need to extract solwin-featuredpro-m2-2.0.x.zip file. If you are using Magento 2.1.x then you need to extract solwin-featuredpro-m2-2.1.x.zip file. If you are using Magento 2.2.x then you need to extract solwin-featuredpro-m2-2.2.x.zip file. If you are using Magento 2.3.x then you need to extract solwin-featuredpro-m2-2.3.x.zip file. Now, you can see the Solwin menu in admin panel. 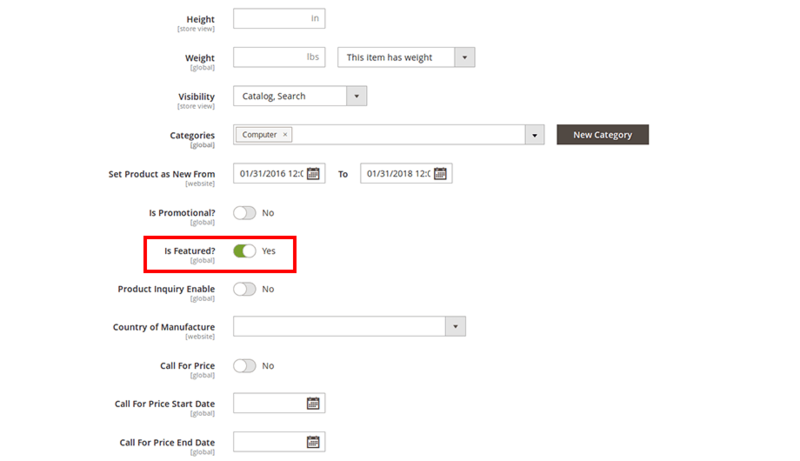 Please go to Solwin -> Featured Products -> Configuration and select Enable to Yes. Magento 2 Best Deals – Special products extension allows you to display special products with eye catching countdowns. This Extension enhance your store content by allowing to display most viewed products and most sold products count. This extension allows customers to make an inquiry about a product directly from the product page. 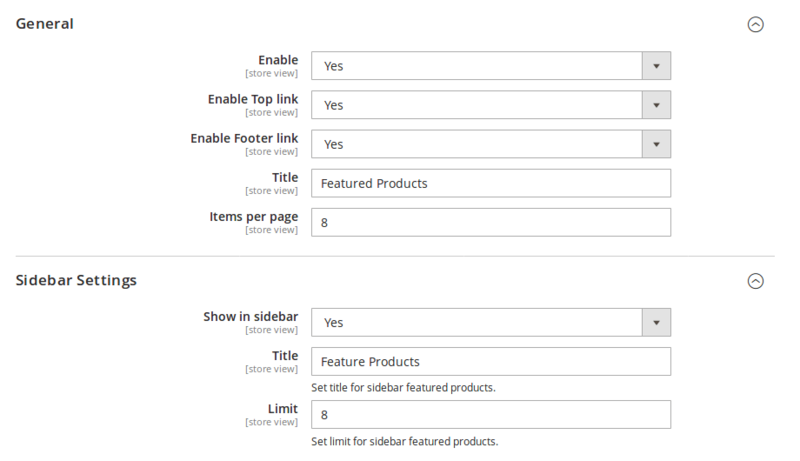 Using this extension, admin can display these types of products in home page as a slider with navigation arrow.